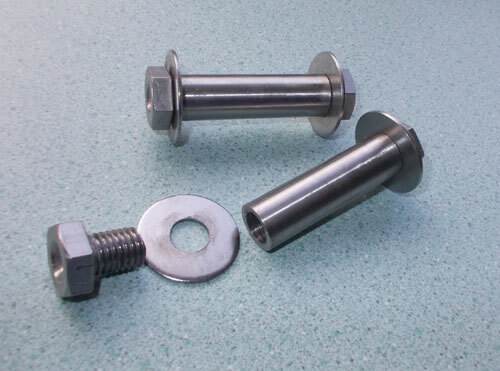 Manufactured from Stainless steel with solid 16mm screw thread to enable the boom bolt be tightened without stripping the fine screw thread common found on plastic and aluminium Finn boom bolts. 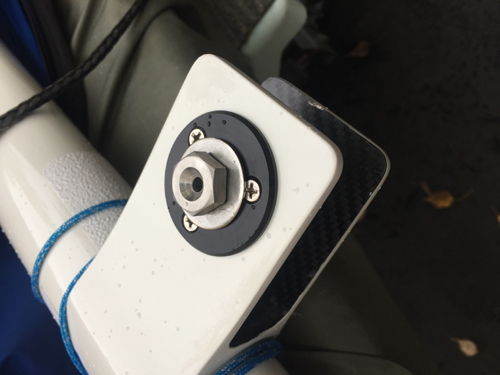 Being able to tighten the boom bolt onto the large 25mm washers enables mechanical grip between the boom bolt washers and the mast gooseneck cheeks, reducing the potential for elongation in the 16mm carbon hole. Compression forces are spread over a wider area. Available in two lengths. 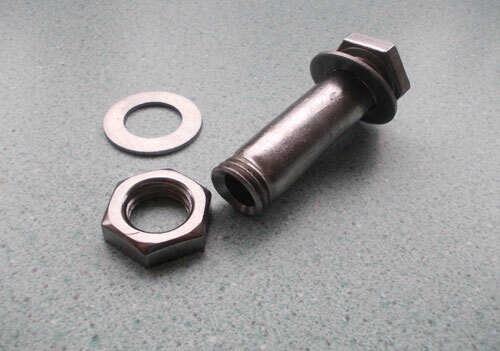 48mm (between washers) for non modified Wilke or Hit masts and 55mm for Pata masts fitted with with the exterior gooseneck packers. 10mm diameter centre hole with countersunk ends means a lightweight (just 94 grams) boom bolt with long life expectations. The only Finn boom bolt you will ever need. 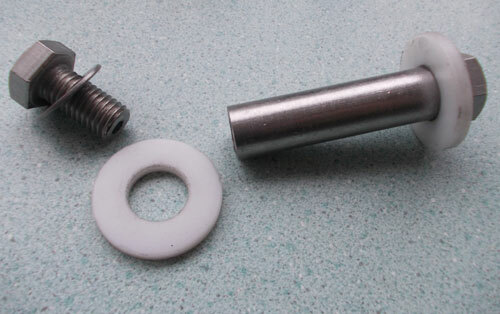 Finn Boom Bolts can be made to any length to suit modified masts. 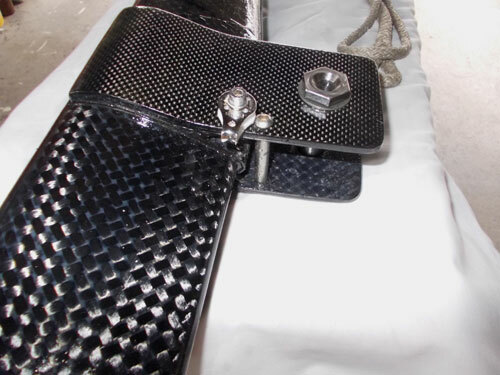 Tell us the distance between the outside of the gooseneck cheeks and we can manufacture to suit your requirements. 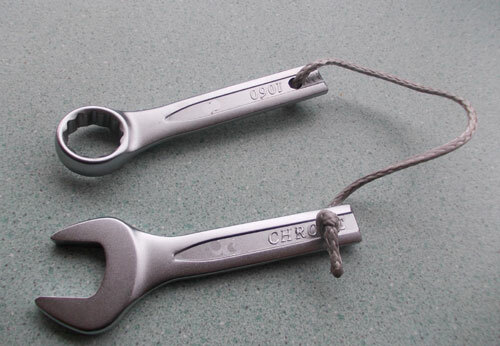 Tightening up the Finn Boom Bolt is easy with a simple arrangement of an open ended ring spanner cut in half with a cord to stop each being lost. Or simply buy one from us.